Which coolant for a Chrysler PT Cruiser? 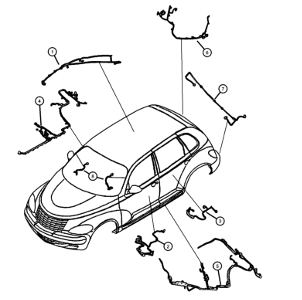 Parts catalog for 2001 to 2008 Chrysler PT Cruiser help you more accurately identify the part that you need for your PT Cruiser. These files were found on this ptcruiserlinks post: http://www.ptcruiserlinks.com/forum/397014-post1.html but these links are dead. 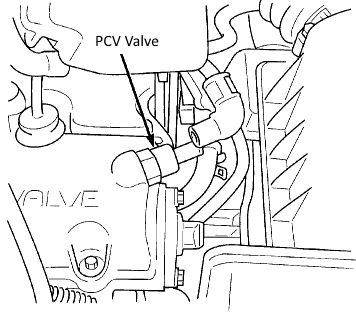 A bad PCV valve can be one possible cause of oil leak. 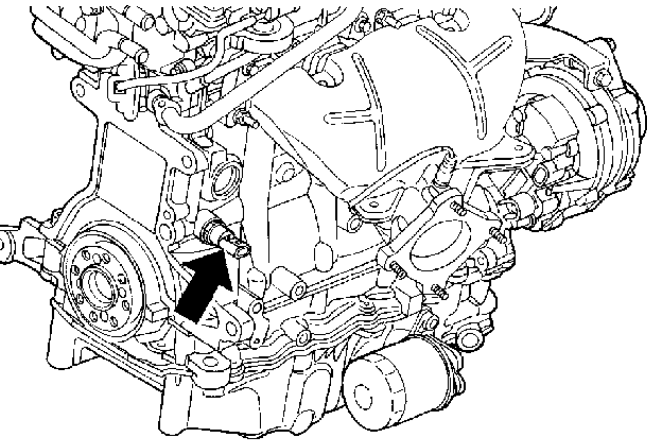 On a 2005 2.4L PT Cruiser, Chrysler recommends that PCV valve should be inspected after 60,000 miles and after 90,000 miles of driving. As it is inexpensive and easy to remove, I suggest you to replace it at one of these intervals. 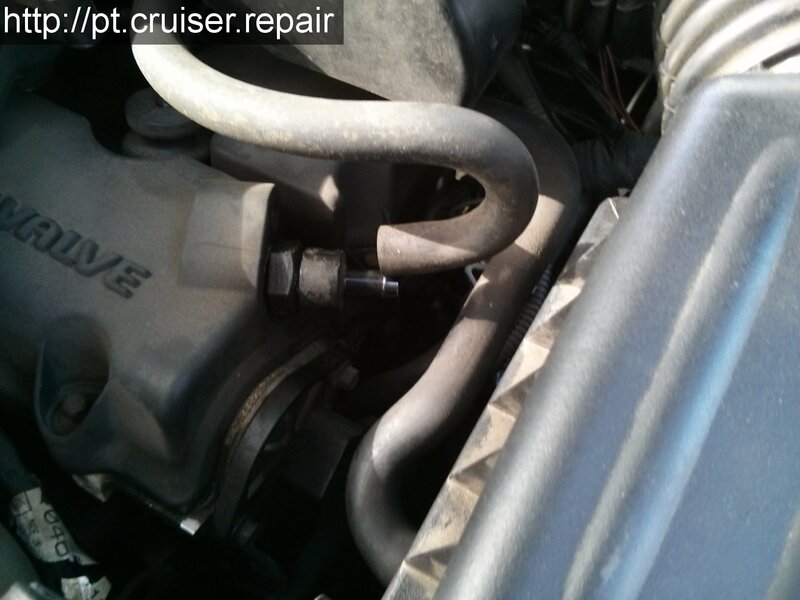 With a 24mm wrench, unscrew the old valve. 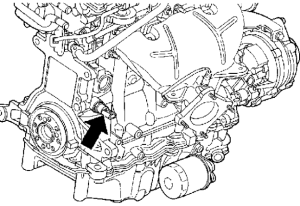 A defective oil pressure sensor switch may cause an oil leak. 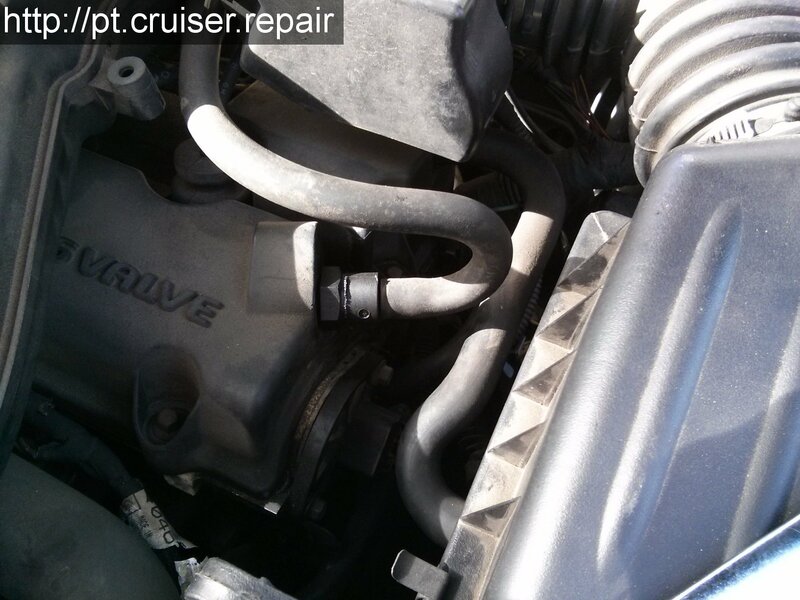 The oil light may come on and a P0522 error code can be read on your OBD-2 scan tool. 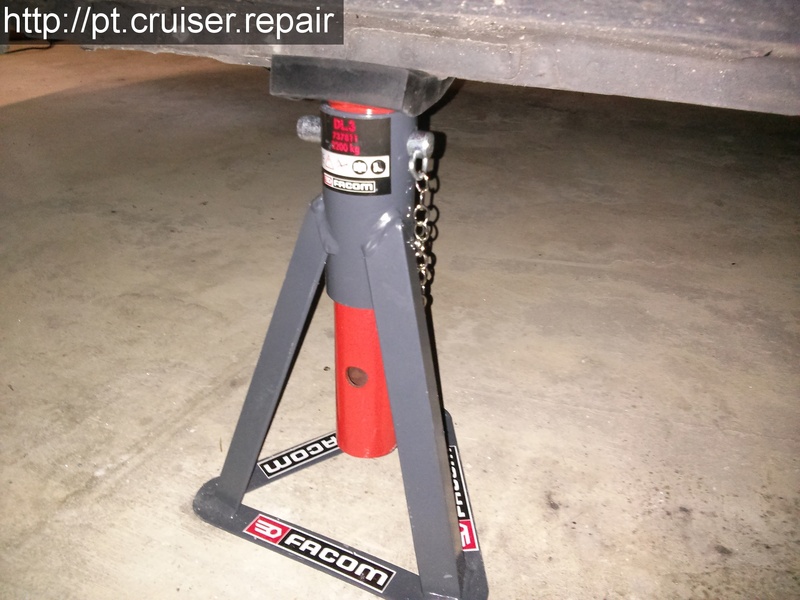 You can replace this sensor without draining oil. You need to lift your car onto jack stands. Let your engine cool off before working under your car because the oil sensor switch is hard to reach and you could burn your skin.